You can now easily Sell Your Honda Cars For Cash in Brisbane without worrying about the condition of your car. Often our cars are a prized possession, and when the time comes to let it go, we find it difficult. However, with us by your side in this momentous decision, you will be relieved to handover the responsibility to us. We will take care of everything, and all you have to do is handover your car to us. Easiest way for you to Sell My Honda Car Brisbane is go through the steps given below and give us a call. Our process is simple, time-saving and customer-centric aimed to give you speedy and efficient services. Get in touch with us – As soon as you decide to sell old cars for cash, contact us with the relevant details. We need details of the cars such as the make, the year of manufacturing and the model of the car. Any additional details such as the condition of the vehicle or the mileage driven helps us give you a more realistic quote on your vehicle. We visit the vehicle – Once you agree with our initial quote, we arrange for physical examination of the vehicle. You can give us the date and time as per your convenience. Post examination, we will make the final offer. Our offer depends on the condition of the vehicle and the current market rate. If you accept the offer, we are ready to buy cars for cash. Car Removal – On the designated day, we come to tow away your car. At the same time, we make instant cash payment or make an account transfer as per your choice. With our efficient staff, we can close the deal even on the same day. So, call Sell My Car In Brisbane when you are ready to scrap cars for cash. We are a well-known Honda Car Buyer Brisbane. We have been in the industry for quite some time and know the worth of every vehicle even in its most depleted condition. 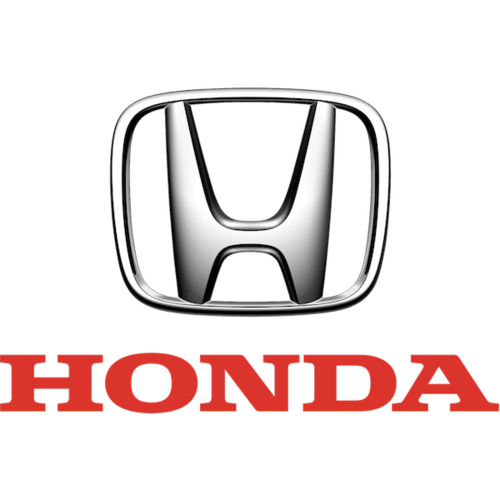 We regularly deal with Honda car models such as Honda Accord, Honda City, Honda Civic, Honda CRV, Honda Jazz, Honda CBR or any other model that we come across. Cash For Honda Cars Brisbane is the best way to get rid of your unwanted vehicle. We pay good cash for used cars regardless of its age or condition. Don’t let the fear of unknown make you hold onto an old vehicle. It will not only occupy the valuable space but eventually will lead to health hazard by festering pests. Let us help you in letting go of the vehicle you no longer need or want. We accept all make and models of the vehicle. We have expertise in handling vehicles that are damaged, wrecked, ruined, or dead. Therefore, contact us today if you want to work with a reliable Cash For Cars Brisbane service providers. What makes us a popular Honda Car Wreckers Brisbane is our ability to help you earn fast cash for cars without compromising on the quality of services. As a part of the industry which has many competitors, it is difficult to maintain a leadership position. However, we have achieved this feat with all the support of our clients. Also, what makes us stand apart from others in the market is our willingness to not only accept the damaged vehicles but also pay the best cash for damaged cars, cash for unwanted cars as well as cash for accidental cars. In fact, we are known to pay top cash for junk cars. Also, we are part of Car Wreckers Brisbane who believes in disposing off the vehicle in an eco-friendly manner. Want experts to handle Honda Car Removals Brisbane? Contact us today. We are the best Car Removals Brisbane. Apart from being the best, we are also the most reliable car removal company. And the best part is that you don’t have to pay anything for our car removal services, it is free for all our clients. Furthermore, we do not simply dump the vehicles in landfills. We take the full inventory and try and reuse as many as parts possible thus reducing metal waste in the environment. The rest of the metal body is crushed and recycled. Thus, we are a firm believer in green process. For ease of our customers, we have multiple ways in which you can contact us. You can give us a call on 07 3082 6471, or you can write to us at [email protected]. Furthermore, if you want instant cash for cars online quote, visit our website at SellMyCarInBrisbane.com.au/contact-us/.